After a period of closed beta testing, Xiaomi has launched its battle royale genre Survival Game in the Mi Apps store. The company seems to be taking cues from the immensely popular Tencent’s PUBG and Epic Games’ Fortnite games, which have become pop culture sensations over the last year. The game is 185MB in size and can be download from Mi Apps right now. 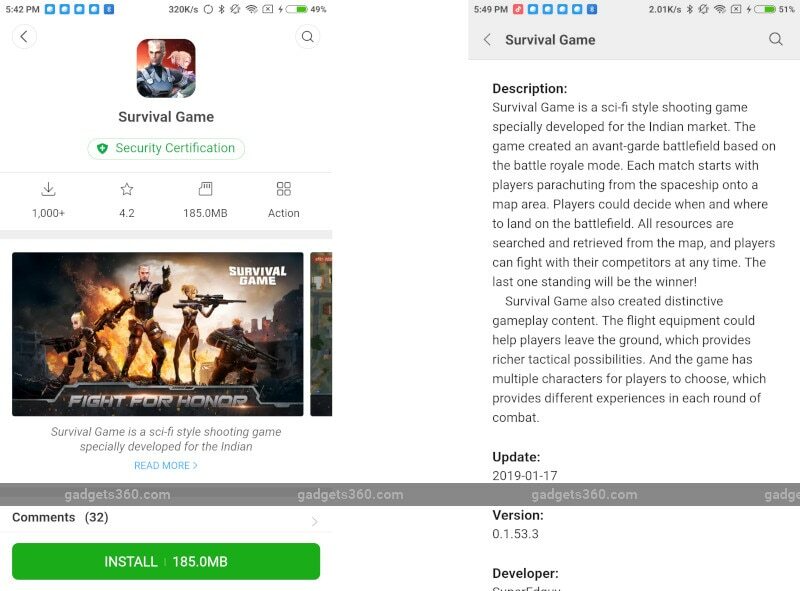 The beta version of the game didn’t earn many fans and it is said to be nowhere near the quality of PUBG Mobile and seems like a student project. In our first impressions of the game’s beta version on a Poco F1, we found the game to be seriously lacking and feels like a first-time school project cobbled together with pre-existing assets without much care. Xiaomi doesn’t seem to understand why battle royale genre is a hit among the consumers.